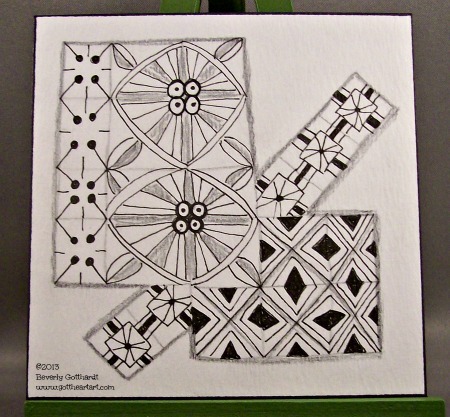 This week it's been all about grids at The Diva's Challenge. Laura gives some examples to mix and match or just pick one and create a tile. Be sure to check out Rick and Maria at Zentangle.com for more information and Zentangle patterns to play around with. Very nice, I like the 3D layered effect. Your string is unique and beautiful. Wonderful layered look. Creating interest in design and patterning is a challenge well accomplished! Great interpretation of the challenge this week. Very creative! It's like a grid sampler. I like it a lot!